Looking for your place in the country on major gird roads, this is it. Newer modular home, 1912 sq ft, 4 bedroom, 2 bathrooms, open concept kitchen, dining room & living room. Large porch/mudroom at main entrance with lost of storage and a place for your freezer. 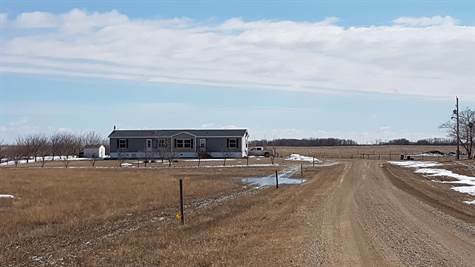 29 acres with pasture for a few animals, cattle shelter, watering bowl, storage for your toys and space for the kids to play. 2 wells with lots of water capacity currently not suitable for drinking but addition of reverse osmosis would change this. Also tractor available for purchase.